An elderly cultivator, with several wives and likely several young male children, benefits from having a much larger workforce within his household. By the combined efforts of his young sons and young wives, he may gradually expand his cultivation and become more prosperous. A man with a single wife has less help in cultivation and is likely to have little or no help for felling trees. According to Boserup's historical data, women living in such a structure also welcome one or more co-wives to share with them the burden of daily labor. However, the second wife will usually do the most tiresome work, almost as if she were a servant to the first wife, and will be inferior to the first wife in status. A 1930s study of the Mende in the west African state of Sierra Leone concluded that a plurality of wives is an agricultural asset, since a large number of women makes it unnecessary to employ wage laborers. Polygyny is considered an economic advantage in many rural areas. In some cases, the economic role of the additional wife enables the husband to enjoy more leisure. Scholars have argued that in farming systems where men do most of the agriculture work, a second wife can be an economic burden rather than an asset. In order to feed an additional wife, the husband must either work harder himself or he must hire laborers to do part of the work. In such regions, polygyny is either non-existent or is a luxury which only a small minority of rich farmers can indulge. A report by the secretariat of the UN Economic Commission for Africa (ECA) quotes: "one of the strongest appeals of polygyny to men in Africa is precisely its economic aspect, for a man with several wives commands more land, can produce more food for his household and can achieve a high status due to the wealth which he can command". According to Esther Boserup, over much of the continent of Africa, tribal rules of land tenure are still in force. This implies that members of a tribe which commands a certain territory have a native right to take land under cultivation for food production and in many cases also for the cultivation of cash crops. Under this tenure system, an additional wife is an economic asset that helps the family to expand its production. Polygamy is not forbidden in the Old Testament. The New Testament is largely silent on polygamy, however, some point to Jesus's repetition of the earlier scriptures, noting that a man and a wife "shall become one flesh". However, some look to Paul's writings to the Corinthians: "Do you not know that he who is joined to a prostitute becomes one body with her? For, as it is written, 'The two will become one flesh.'" Supporters of polygamy claim this indicates that the term refers to a physical, rather than spiritual, union. ^ Laban Moogi Gwako, Edwins (1998). "Polygyny among the Logoli of Western Kenya". Anthropos. 93 (4/6): 331–348. JSTOR 40464835. ...encoraged their husbands to marry other wives so that they may engage themselves and bestow their affection upon the co-wives' children. ^ Penal Law Amendment (Bigamy) Law, 5719-1959. The European pied flycatcher (Ficedula hypoleuca) is a small passerine bird in the Old World flycatcher family. One of the four species of Western Palearctic black-and-white flycatchers, it hybridizes to a limited extent with the collared flycatcher. It breeds in most of Europe and western Asia. It is migratory, wintering mainly in tropical Africa. It usually builds its nests in holes on oak trees. This species practices polygyny, usually bigamy, with the male travelling large distances to acquire a second mate. The male will mate with the secondary female and then return to the primary female in order to help with aspects of child rearing, such as feeding.The European pied flycatcher is mainly insectivorous, although its diet also includes other arthropods. This species commonly feeds on spiders, ants, bees and similar prey.The European pied flycatcher has a very large range and population size and so it is of least concern according to the International Union for Conservation of Nature (IUCN). A mating system is a way in which a group is structured in relation to sexual behaviour. The precise meaning depends upon the context. With respect to animals, the term describes which males and females mate, under which circumstances; recognised systems include monogamy, polygamy (which includes polygyny, polyandry, and polygynandry), and promiscuity, all of which lead to different mate choice outcomes and thus these systems affect how sexual selection works in the species which practice them. In plants, the term refers to the degree and circumstances of outcrossing. In human sociobiology, the terms have been extended to encompass the formation of relationships such as marriage. Monogamy ( mə-NOG-ə-mee) is a form of relationship in which an individual has only one partner during their lifetime — alternately, only one partner at any one time (serial monogamy) — as compared to non-monogamy (e.g., polygamy or polyamory). The term is also applied to the social behavior of some animals, referring to the state of having only one mate at any one time. Polyandry (; from Greek: πολυ- poly-, "many" and ἀνήρ anēr, "man") is a form of polygamy in which a woman takes two or more husbands at the same time. Polyandry is contrasted with polygyny, involving one male and two or more females. If a marriage involves a plural number of "husbands and wives" participants of each gender, then it can be called polygamy, group or conjoint marriage. In its broadest use, polyandry refers to sexual relations with multiple males within or without marriage. Of the 1,231 societies listed in the 1980 Ethnographic Atlas, 186 were found to be monogamous; 453 had occasional polygyny; 588 had more frequent polygyny; and 4 had polyandry. Polyandry is less rare than this figure suggests, as it considered only those examples found in the Himalayan mountains (28 societies). More recent studies have found more than 50 other societies practicing polyandry.Fraternal polyandry is practiced among Tibetans in Nepal, parts of China and part of northern India, in which two or more brothers are married to the same wife, with the wife having equal "sexual access" to them. It is associated with partible paternity, the cultural belief that a child can have more than one father.Polyandry is believed to be more likely in societies with scarce environmental resources. It is believed to limit human population growth and enhance child survival. It is a rare form of marriage that exists not only among peasant families but also among the elite families. For example, polyandry in the Himalayan mountains is related to the scarcity of land. The marriage of all brothers in a family to the same wife allows family land to remain intact and undivided. If every brother married separately and had children, family land would be split into unsustainable small plots. In contrast, very poor persons not owning land were less likely to practice polyandry in Buddhist Ladakh and Zanskar. In Europe, the splitting up of land was prevented through the social practice of impartible inheritance. With most siblings disinherited, many of them became celibate monks and priests.Polyandrous mating systems are also a common phenomenon in the animal kingdom. Worldwide, different societies variously encourage, accept or outlaw polygamy. Of societies which allow or tolerate polygamy, in the vast majority of cases the form accepted is polygyny. According to the Ethnographic Atlas (1998), of 1,231 societies noted, 588 had frequent polygyny, 453 had occasional polygyny, 186 were monogamous and 4 had polyandry; although more recent research suggests polyandry may be more common than previously thought. From a religious point of view, "The bible shows over 36 named men who had more than one wife." 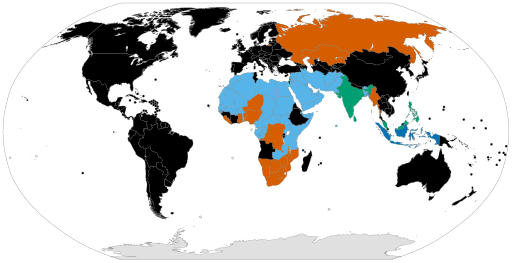 In cultures which practice polygamy, its prevalence among that population is often connected to class and socioeconomic status.From a legal point of view, in many countries, although marriage is legally monogamous (a person can only have one spouse, and bigamy is illegal), adultery is not illegal, leading to a situation of de facto polygamy being allowed, although without legal recognition for non-official "spouses". Polygamous marriages may be legally contracted in Algeria in the form of polygyny, and a man may take up to four wives. However, recent amendments to the Algerian Family Code have made it increasingly more difficult to contract such a marriage and reports of polygamous marriages occurring have been notably rare. Neighboring Tunisia outlaws polygamy altogether. Like many nations in the Muslim world, polygyny is legal in Bahrain. However, according to the Bahrain Center for Human Rights' write-up on women's rights in Bahrain at the present time, polygamy is only practiced by a minority of Bahraini citizens, though unlike most nations, levels of education and areas of habitation do not play a strong role in statistics composed of citizens practicing polygamy. Polygyny is legal in Cameroon, contracted frequently for reasons of both status and wealth. It has been reported that polygamy is most often found in rural areas of the country. Even still, it has been said that polygamous unions are slowly beginning to decrease, mainly due to social and economic reasons. There is no limit on how many wives a man can take, which is rare for most nations that allow polygyny. Polygamy is "the practice or custom of having more than one wife or husband at the same time." Polygamy has been practiced by many cultures throughout history. There are numerous examples of polygamy among close followers, devotees, and the faithful to God in the Old Testament, but it is generally not accepted by contemporary Christians. Some Christians actively debate whether the New Testament or Christian ethics allows or forbids polygamy and there are several Christian views on the Old Covenant. This debate focuses almost exclusively on polygyny (one man having more than one wife) and not polyandry (one woman having more than one husband). The practice of what is usually called polygamy, enjoys de facto and de jure legality in Kenya. It is to be understood as polygyny, however. It states in the Kenyan constitution that a man can marry more than one wife. Polygamy as polygyny in most of Syria is restricted. After the outbreak of the Syrian Civil War, the Kurdish Rojava inhabited regions outlawed polygamy in the northeastern parts of Syria that fell under their de facto control. While polygyny is legal in the Central African Republic, it has been reported that the more well-educated women living in the nation have tended to oppose it, favoring a monogamous marriage instead. The country's legal code allows a man to take up to four wives, but he must decide on the nature of his future marriages before is allowed to contract his first. In other words, if a man plans to marry one to three more women in the future, he must make this clear: otherwise, he will not be allowed to marry additional women if he later changes his mind. Under Sunni and Shia Islamic marital jurisprudence, Muslim men are allowed to practice polygamy, that is, they can have more than one wife, but not more than four at the same time.The practice of a woman having more than one husband at a time is a sin in Islam. Polygyny (; from Neo-Greek πολυγυνία from πολύ- poly- "many", and γυνή gyne "woman" or "wife") is a mating system in which one male lives and mates with multiple females, but each female only mates with a single male. Systems where several females mate with several males are defined either as promiscuity or polygynandry. Lek mating is frequently regarded as a form of polygyny because one male mates with many females, but lek-based mating systems differ in that the male has no attachment to the females with whom he mates, and that mating females lack attachment to one another.Polygyny is typical of one-male, multi-female groups and can be found in many species including: elephant seal, gorilla, red-winged warbler, house wren, hamadryas baboon, common pheasant, red deer, Bengal tiger, Xylocopa varipuncta, Anthidium manicatum and elk. Oftentimes in polygynous systems, females will provide the majority of parental care. Sororate marriage is a type of marriage in which a husband engages in marriage or sexual relations with the sister of his wife, usually after the death of his wife or if his wife has proven infertile.From an anthropological standpoint, this type of marriage strengthens the ties between both groups (the wife's family or clan and the husband's) and preserves the contract between the two to provide children and continue the alliance. The Inuit people (formerly known as Eskimos) of northern Alaska, Canada and Greenland follow or followed this custom. It is followed by the Chiricahua group of the Western Apache, who are Athabaskan speaking, as is levirate marriage.Sororate marriage is practiced by the Sioux (Lakota) tribes, and some Western Mono tribes in California, such as the Wuksachi or Waksachi. Triggerfishes are about 40 species of often brightly colored fish of the family Balistidae. Often marked by lines and spots, they inhabit tropical and subtropical oceans throughout the world, with the greatest species richness in the Indo-Pacific. Most are found in relatively shallow, coastal habitats, especially at coral reefs, but a few, such as the oceanic triggerfish (Canthidermis maculata), are pelagic. While several species from this family are popular in the marine aquarium trade, they are often notoriously ill-tempered.